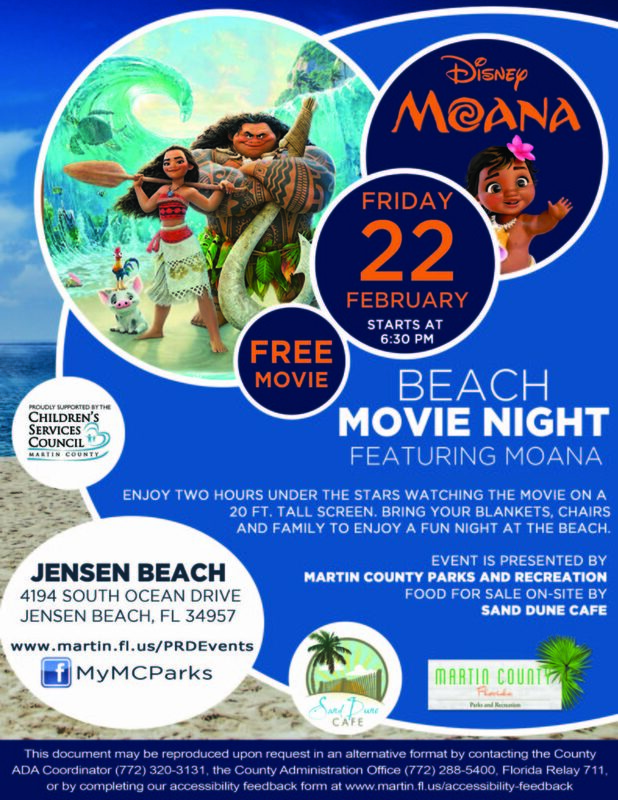 Come and enjoy 2 hours under the stars watching Disney’s Moana on a 20 ft. tall screen at Jensen Beach! Beach Movie Nights are FREE to enjoy. Bring your blankets, chairs, insect spray, family and friends to enjoy a night at the movies together on the beach. Food will be available for purchase at Sand Dune Cafe.